You know what is great about Sundays, other than leisurely morning, extra cups of coffee, browsing through recipes and travel articles in the Sunday supplements of newspaper? Brunch, of course! 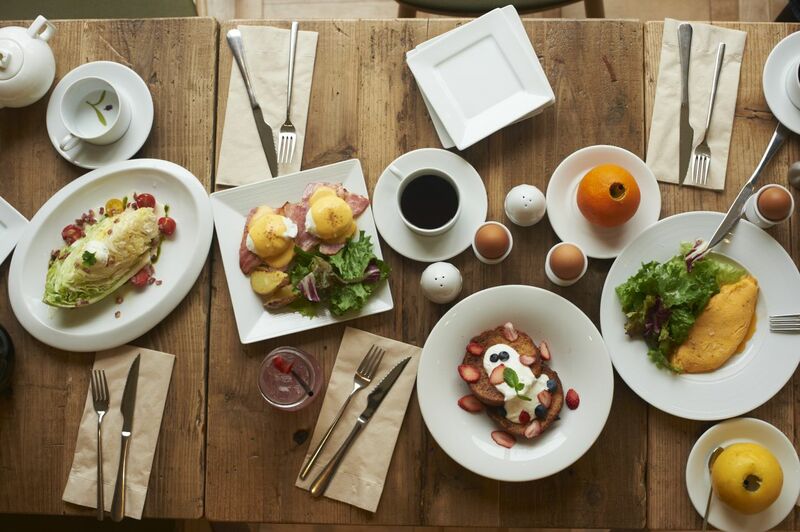 And yes, there’s no better excuse than a Sunday brunch to get-together with friends and family! 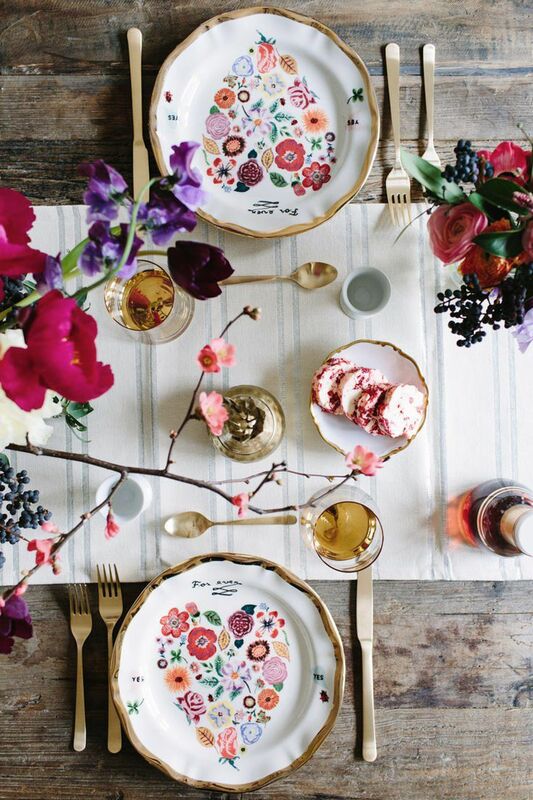 Follow these easy ideas to help you set your beautiful brunch table without feeling stressed and overwhelmed. PLAN A MORE CASUAL DECOR - Weekend brunch is all about relaxing and enjoying food with your favourite bunch of people. The more comfortable and at-home your guests will feel, the better your get together will be. Don't set a formal or fine dining table; instead, let your friends serve themselves from a buffet around. Nothing could be better if you have a happy outdoor space. 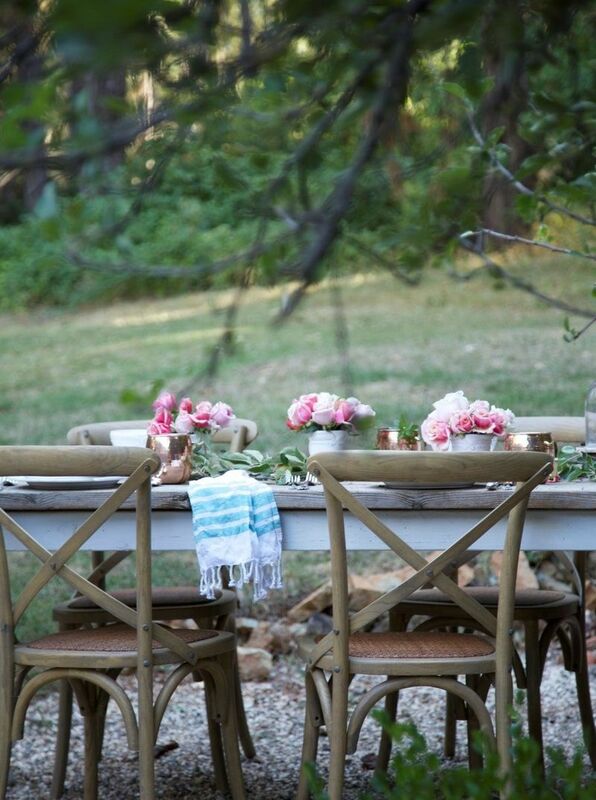 Move your brunch table to the garden and dress your table for an outdoor brunch party. 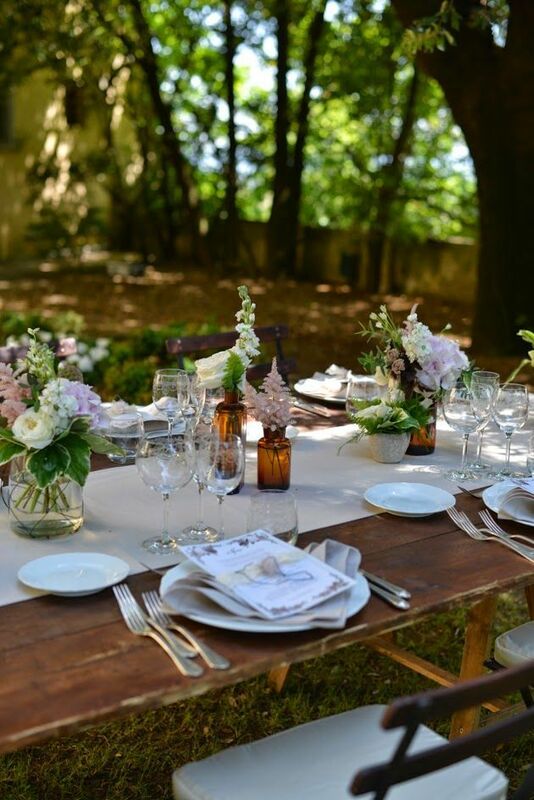 DRESS UP YOUR TABLE - Your dining table is the foremost element of your brunch party. A pretty table setting doesn't really mean you need to have finest table runners or expensive china. A simple setting with few accent elements and obviously, with delicious food, is good enough to impress your guest and family. 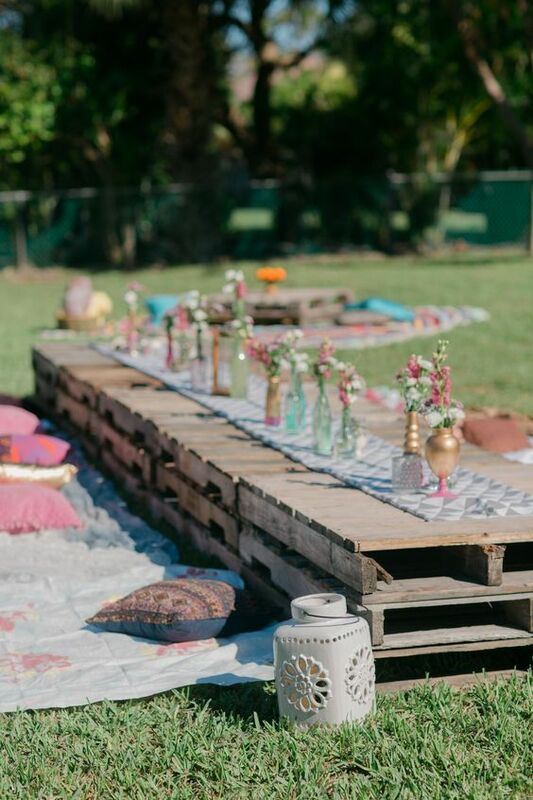 Pops of colours: Most of the nicest brunch tables are the most understated. Some nice napkins, a pretty table runner and some pop of colours on mugs and vases are good enough to brighten the overall table. 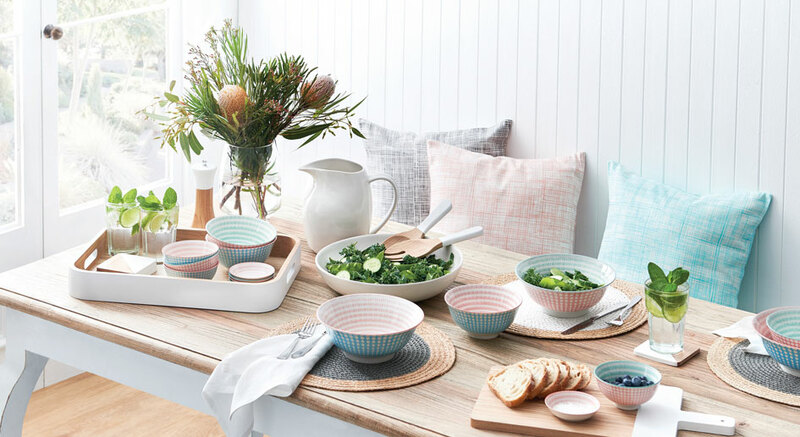 Whether it's the colourful mugs or the fresh flowers, a little of colour will add the brightness and cheer to your table without overwhelming the overall appeal. 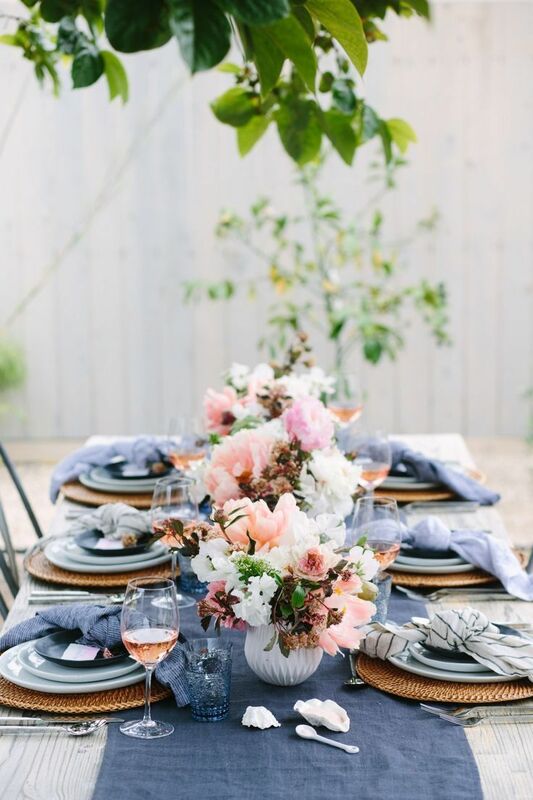 Break up the flower arrangement: A fresh bouquet of flowers right in the centre of the table certainly looks quite stately, but any big arrangement of flowers is too much for a brunch spread and it also restricts you to see the person you're sitting across. Instead, to get a more delicate and elegant look, break up the flower arrangement into smaller bouquets, scattered around the table. Get ready with your serving pieces and accoutrements: if you want to enjoy the meal as much as your guests, then make sure you've got all the serving spoons and serving bowls ready. Always use a variety of serving bowls for one dish so that your guests can easily pass it around the table. FOOD & DRINKS - Ah, we have finally arrived in the food and drinks portion of the brunch! :D Have you ever noticed the magic that happens when your guests meet bottomless mimosas? 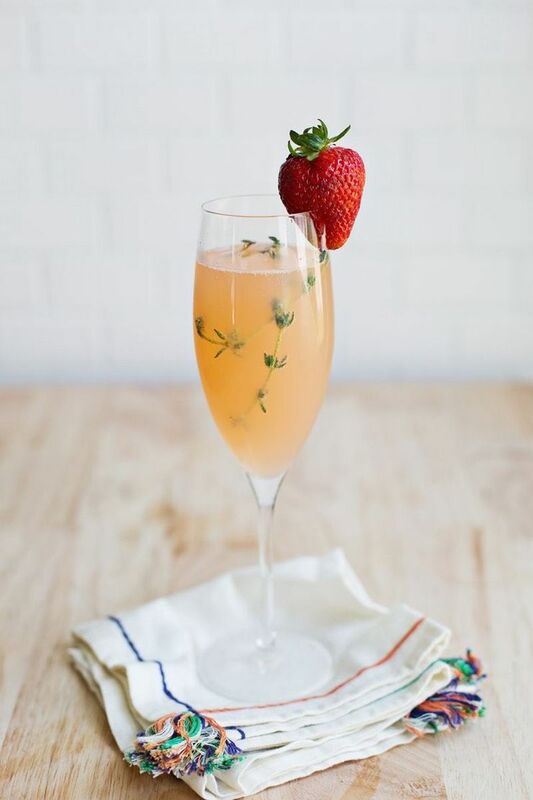 Brunch is the new happy hour, and drinks are what kick-start your brunch, so spend some extra time planning an assortment of beverages like mimosas, fresh citrus juices and smoothies. Planning a brunch menu is really easy if you break it down to the essentials. Just make some sort of main course and keep the rest of the menu extremely simple and easy. 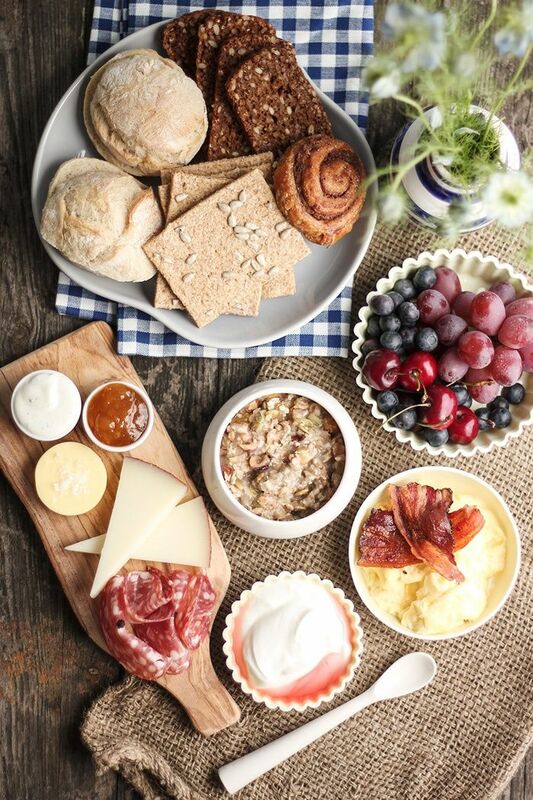 With something sweet, something savoury, some fresh fruits and some salad, your sunday brunch table will be complete. Whether you're getting ready for Sunday pot-luck or just happen to be planning an intimate brunch for friends and family, a happy Sunday brunch can be very amazing for that much needed weekend relaxation. So who's ready for sunday brunch?